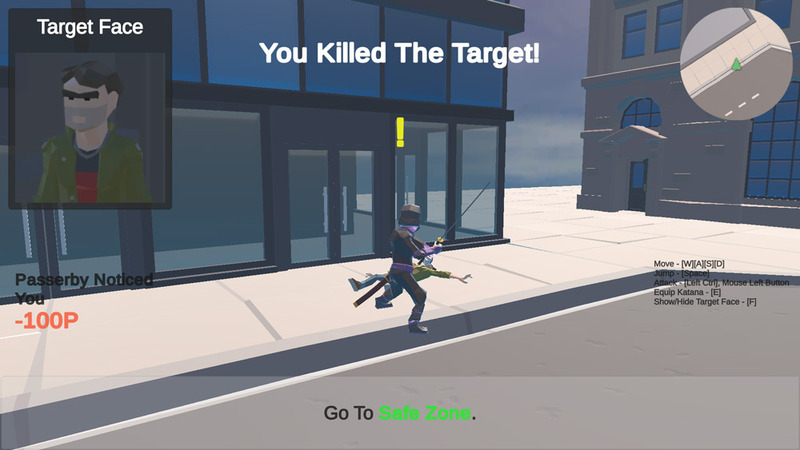 "A simple yet fun game about being an assassin!" 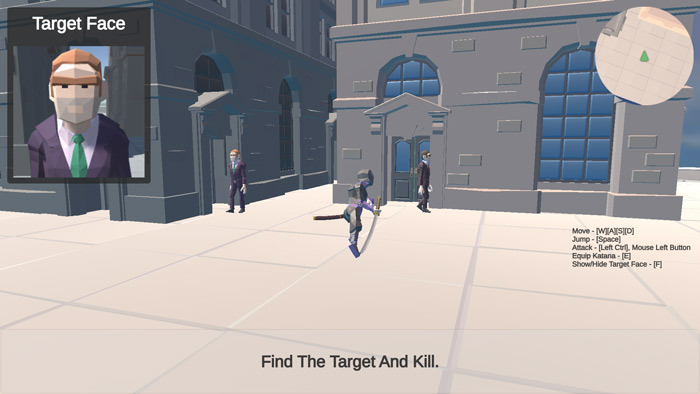 Assassin in the City is a low poly action game that has fairly simple graphics and a simple game play style to match, but is also an incredible amount of fun. 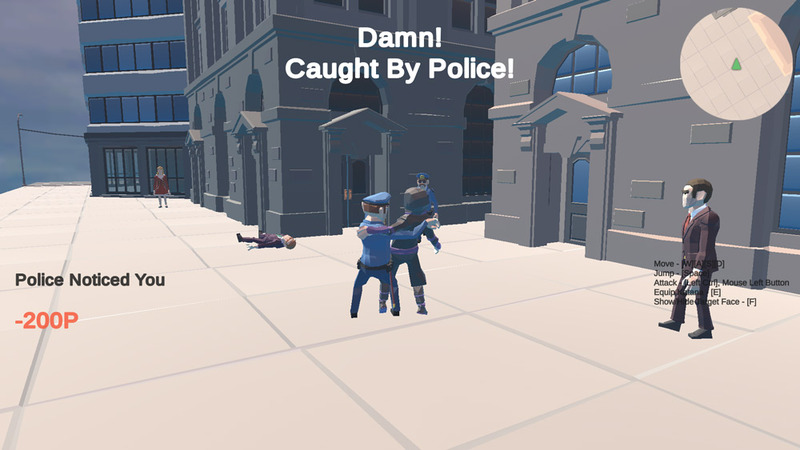 You play as a ninja assassin who is tasked with identifying a target and then executing them in broad daylight usually in a busy street! The targets are fairly easy to identify at first at least although you will need to be careful for example looking for a businessman in an area that is heavily populated by businessmen in similar style suits, you will need to pay special attention to the target photos to make sure that you execute the correct target, you will also need to evade the police, as you are running around committing these assassinations with a huge katana it is not very subtle and after you have completed your task you will need to get to the green safety zone to complete the level, that is as long as the police don't see you and catch you. After you complete a mission you will be given a mark as to how well the job has gone and be able to move on to the next level. 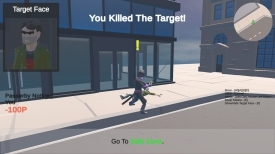 A really simple yet really fun game, you can download Assassin in the City here for free.